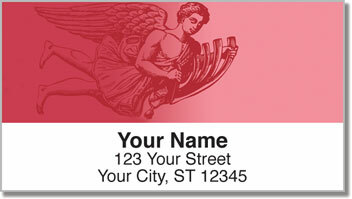 Put a heavenly finishing touch on all your letters and packages when you add the elegance of an angel's wings. 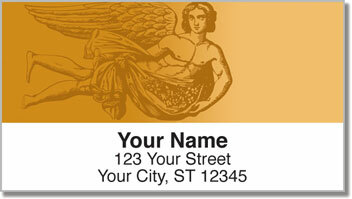 Four attractive illustrations of awe-striking angelic beings give your mail a stunning and sophisticated look. These messengers from above are the perfect thing to send along with your outgoing mail. 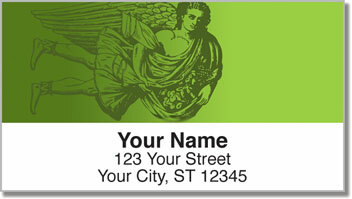 But here's what you'll really consider a blessing...your new labels are self-adhesive. That means the time-consuming chore of filling out envelopes with your return address will become extra easy and extremely fast. 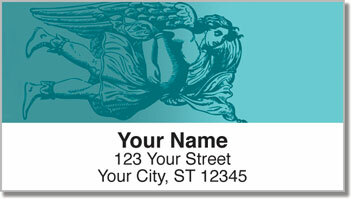 Get your very own Classic Angel Address Labels today! Complete your order with a set of matching checks.